In one of the Moscow hospitalslies Private Ivan Zhukov, a victim of German barbarism. He was wounded in the right arm near Warsaw on October 10 and became maimed for life. Zhukov talks about it as easily as if the Germans had every right to shoot. In his words there is no shadow of hate for the enemies who crippled him. He was bothered by only one thing – he is unable not only to work, but also to write. He has tried to write with his left hand, but it was difficult for him to hold the paper with his injured right hand, so Zhukov has begun learning to write with his right foot. Despite the energy he had to expend on this, Zhukov has achieved his goal and now quite freely writes with his right foot. Zhukov laughs. He is very happy when the wounded surround him and examine his writing exercises. It has been forbidden to play gramophones and any other music in tea establishments in every dacha settlement of the Petrograd Province. Of course, this will delight dacha residents who love silence, but along with this it is time to calm down the shepherds who play their pipes under the windows at 6 o'clock in the morning without any need: The cattle know the grazing time perfectly well. A few days ago, the village of Gavrilovka was disturbed by an extraordinary event. 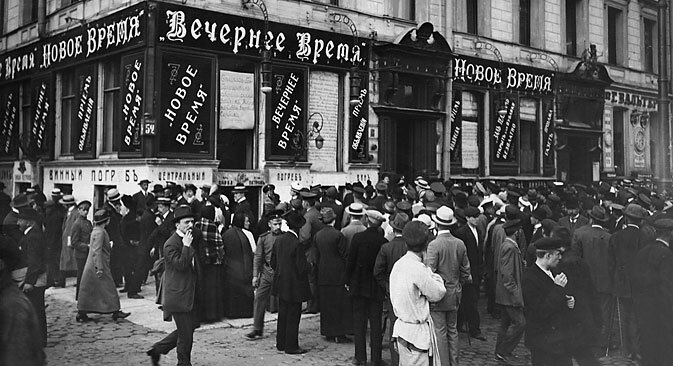 Local peasants, desiring to entertain themselves with drink, went to the Berenzon pharmacy. There they were sold some liquid (it is assumed that it was a mixture of denatured alcohol with cologne), which they treated themselves to at once, right in the shop. Upon returning to their homes, the peasants suddenly died. The pharmacy was sealed off by order of the authorities, and the owner of the store, Berenzon, was arrested. However, store manager Gertsenstein, who had sold the drink, made himself scarce. Her Imperial Highness Grand Duchess Elizabeth Fyodorovna is establishing in Moscow a hostel for boy volunteers who have returned from the war. Most of these boys have neither shelter, nor bread. The children either return to war or become homeless vagabonds and go to prison. But many of these boys have fought at the front and often rendered considerable services to the motherland. Genial man seeks marriage. He is 37, in blooming health, youthful, of deep mind and feeling, an officer, handsome. The time that goes on earning his salary of 300 rubles a month neglects his talents – poetic, musical and vocal, dramatic and artistic. To use these talents, he requires a mutually loving wife capable of living independently. Must be smart, educated, charmingly attractive, graceful, feminine, no older than 28, with beautiful teeth and clean face. Further details on request. Confidentiality of correspondence guaranteed.